Check Back Each Month For Featured Treatments and Products! This divine massage harnesses the power of precious gemstones to restore the mind & body. Your therapist will educate you on the crystals we offer in our treatment room & you will pick one to hold throughout your service to set the intention of your service. You will leave feeling luminous, centered, and completely revitalized. Epicuren Body Lave, Spa Kingston Exfoliating Shower Gloves, & Vitruvi Organic Eucalyptus Essential Oil! Military members always receive 10% off all services! Thank You For Being a Loyal Spa Kingston Member! Friends Who Spa Together, Stay Together! Refer a friend and you receive a $25 credit towards your next Spa Kingston service! Spa Kingston is by far the best spa I've been to in San Diego!! 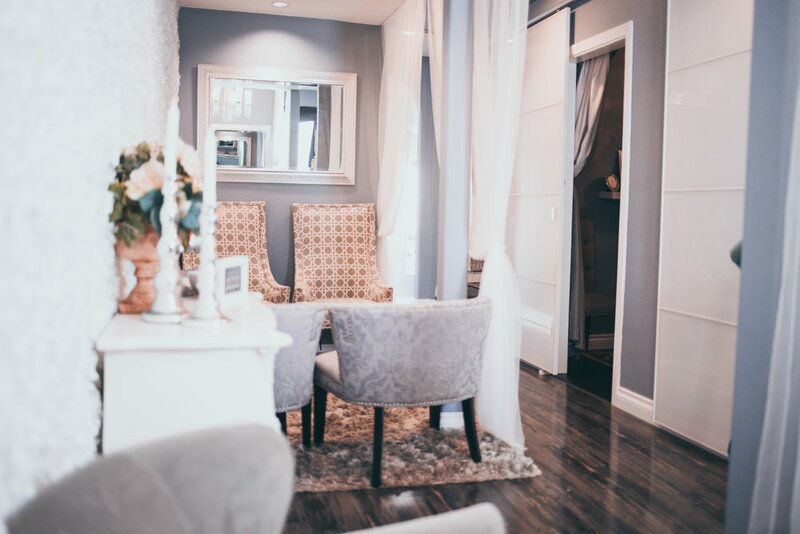 As soon as you walk in the lobby and throughout the aesthetics are relaxing and help you get in the mood to relax and enjoy your treatments. Ari was particularly helpful in helping me choose which massage I wanted pertaining to my specific health needs and relaxation goals. The whole service from start to finish was amazing, from the check in, to the rose petal foot bath, throughout the whole massage from the therapist, choosing affirmation cards, and post care was exceptional!! Definitely coming back soon!! 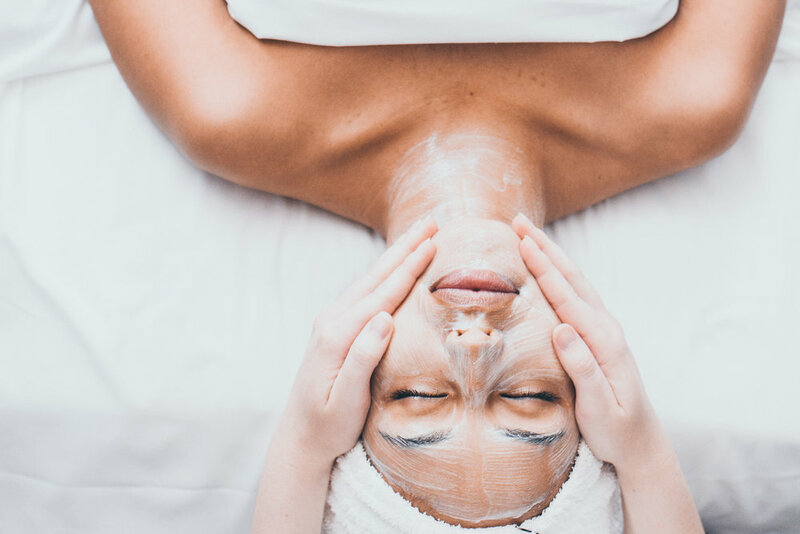 - Mallory D.
My fiancé and I came to spa kingston for a couples massage (his first time my second) and it was wonderful ! The gal checking us in was super sweet and made everything seamless from knowing our names before we told her, finding our reservation and prepayment quickly, along with walking us through their skincare products. Nesha listened to everything I told her prior to starting and her massage was amazing. My fiancé is an athlete and so picky regarding pressure etc. and he loved Andreas technique and massage. Overall great worth the time and money! - Lauren R.
If you are looking for a relaxing and beautiful experience from knowledgeable people this is the place to come. My boyfriend and I booked a couples massage here and added a hot stone massage to our package. Both Tanesha and Reyna were amazing. They were knowledgeable about the products they were using and sold, as well as with the massages. They worked around our requests and provided the most laid back and relaxing experiences. Neither of us had had a massage before but we have already booked our second appointment here. Not only was the massage amazing, but we got champagne, tea, fruit water, and dried fruit and chocolate. Kingston Spa really is the full package. - Lucy Y. This is my second time at Spa Kingston for a deep tissue massage and had Tanisha and Christian and they were both amazing! I really like how they bring oils, crystals and affirmation cards into the experience. I start out with a warm neck pillow and a beverage (tea, water, mimosa, champagne) and enjoy the ambiance of the waiting area. Next, I enjoyed a rose petal foot soak, while picking my affirmation card and crystal. Than discuss expectations of the message and go over any injuries or focus areas. The message itself was fantastic and always hits the right spot and I feel very relaxed and rejuvenated after. Today I had Christian and he was excellent and asked me if he could do some sound healing at the end to close. I have gone to sound healing classes before and was very excited to close with it. It was awesome and closed out the message nicely. It elevated the overall experience and was super awesome to have it incorporated! - Erienne G.
Spa kingston has been the talk of the town amongst our friends. 5 star luxury spa local to San Diego. My wife went first and loved it . She liked it so much that she surprised me with a 60 minute massage and a facial. It was a very relaxing and soothing experience. They are pretty centrally located, only about 5-10 minutes from down town san Diego. This was our first experience getting a massage and I loved every minute of it. My wife and I were celebrating our 17th year wedding anniversary well we did it in style. Thanks Spa Kingston. I got a couples massage off of groupon and my gf and I REALLY enjoyed it! The warm foot bath with champagne and chocolate at the beginning as a warm up was a very nice touch. Moving on to the actual massage, therapists were very attentive to sensitive spots and communicative with me so that I received the best experience possible. You get to choose from four essential oils to be used on your in the massage. I recommend this place for couples looking for a romantic evening. My wife and I came in here for a couples massage and we both had facials as well. We both get massages regularly and this was by far the best massage we both have ever had. The facials were amazing too. This was my first facial and my wife says she wants me to get them more, so of course I will. My wife has been a member now for a while and I have never seen her skin look so clear. I can say they definitely pay attention to detail, they make you feel very special, and the treatments are top notch. I highly recommend this place for both massage and facials. We had a couples massage and foot massage and really enjoyed our treatments. Very calm ambiance, friendly staff, clean spa. I had Thomas for my massage and he was amazing! Definitely recommend this Spa for others.